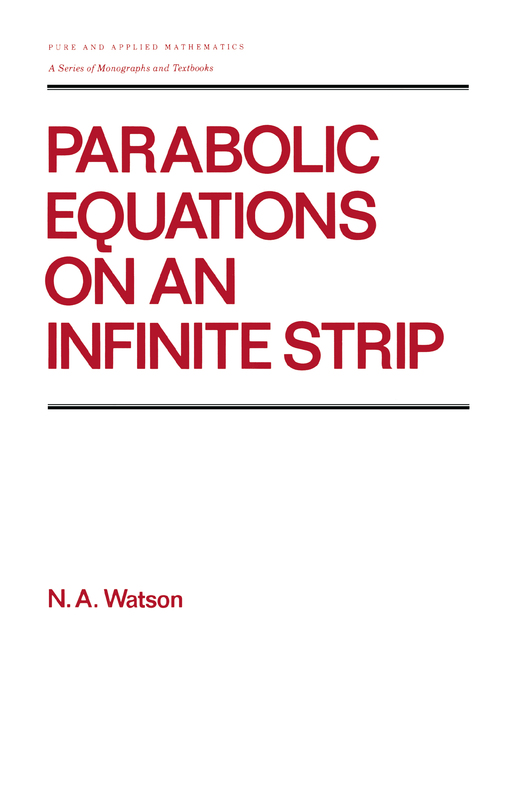 This book focuses on solutions of second order, linear, parabolic, partial differentialequations on an infinite strip-emphasizing their integral representation, their initialvalues in several senses, and the relations between these.Parabolic Equations on an Infinite Strip provides valuable information-previously unavailable in a single volume-on such topics as semigroup property.. . the Cauchy problem … Gauss-Weierstrass representation . .. initial limits .. .normal limits and related representation theorems … hyperplane conditions .. .determination of the initial measure .. . and the maximum principle. It also exploresnew, unpublished results on parabolic limits . . . more general limits … and solutionssatisfying LP conditions.Requiring only a fundamental knowledge of general analysis and measure theory, thisbook serves as an excellent text for graduate students studying partial differentialequations and harmonic analysis, as well as a useful reference for analysts interested inapplied measure theory, and specialists in partial differential equations.